He wouldn't be a bad choice I guess but he's not really my top 3 either. I always thought of Bond as a man who has a sophisticated handsome face. Always saw Thor as more of a "good looking surfer" kind of type. Veronica wrote: He wouldn't be a bad choice I guess but he's not really my top 3 either. That's pretty much my reaction too. I wouldn't be upset if he got the part, but there are better options. I think he's probably ruled himself out by openly lobbying for the role. In most places, actually wanting a job is considered a plus, but Hollywood doesn't seem to like it for some reason. As far as I recall Cavill also kind of lobbied for it. But whether he did it or not he should definitely be on their short list. Hiddleston seems to get how the business works though.Whenever he was asked a question about Bond he just smiled charmingly. Veronica wrote: As far as I recall Cavill also kind of lobbied for it. But whether he did it or not he should definitely be on their short list. I think I'd prefer Thor to Loki, tbh. Hiddleston works better as the villain. And I'd prefer Loki over Thor . 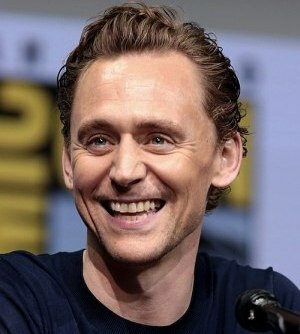 I find Hiddleston to be more far more charming than Chris. Also his voice is fantastic. 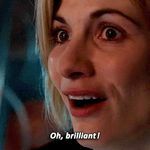 In fact fantastic doesn't even begin to cover it. Basically, Hiddleston bought me with The Night Manager far more than Chris ever did. Hiddleston looks like Gary Oldman. 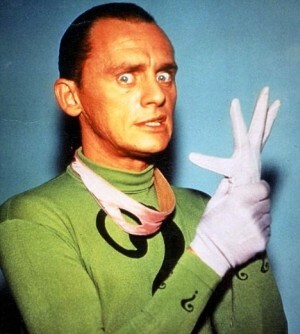 Hiddleston also looks a bit like the Riddler from the old Batman TV series. I don’t think either can get the role. One they have a established reputation. Two they cost too much. Also realistic even filming in 2021 they are aging out of the role. Well out of how many movies they can make, although Craig looked like crap and looked older than 50 when he got the job. My gut is some other millennial will get the role once babs can’t find an excuse to rehire Craig, who doesn’t want to make The movies so much it takes half a decade to recharge his batteries. Just discovered Bond girl Nadja Regin passed away a few days ago. You'll remember her as Karim Bey's girlfriend in FRWL and the bathing dancer Bond found "positively shocking" in the GF pre-titles. Today is the 66th anniversary of Casino Royale's publication. Happy birthday, Mr Bond. What's the old saying? Too many cooks spoil the broth. I have a feeling this'll be a Quantum level mess but for the opposite reason. QOS had no writers because of a strike and on this film EON is bringing in any and all scribes Dan has a cup of coffee with. I also find it humorous/insulting how the author of this piece try's down playing Johanna Harwood's contributions by referring to her as Saltzman's secretary. It is be true she started out that way, long before the Bond films came along, but she became an established screen writer by the time Bond came around. I suppose her existence ruins the narrative this author is trying to push. I looked at her IMDb filmography. Dr No was her first screenwriting credit, but she had been working as a continuity editor for nearly a decade before that. Kristatos wrote: I looked at her IMDb filmography. Dr No was her first screenwriting credit, but she had been working as a continuity editor for nearly a decade before that. Teaser poster for Shatterclipse leaked!!!!! Another writer to rewrite? Wtf? Sent they supposed to be filming right now?